Here's how a simple acronym can completely change your mindset. More times than not we treat others better than we treat ourselves. We’re taught from a young age to treat others the way we would want to be treated. A seemingly simple concept until you self-evaluate. How do we treat ourselves in our most vulnerable and critical moments? How many times have you been shopping with your friend and she tries on a dress. She timidly steps out of the fitting room and immediately points out all the flaws in the dress. But when she’s critical of her curves, you quiet her inner demons. You counter every criticism with a compliment so she can see how beautiful she is too. Conversely when you’re the one in the dress, you’re jaded. You tend to self-deprecate and never think to compliment your curves or how the color brings out the green in your eyes. Bottom line — we’re not treating ourselves the way we treat others. We need to hold ourselves accountable and ask for more self-love. Only then can we begin to treat ourselves the way we treat others. Honestly, this concept is easier said than done despite the fact that everyone today flashes this term “self-love” in our faces. 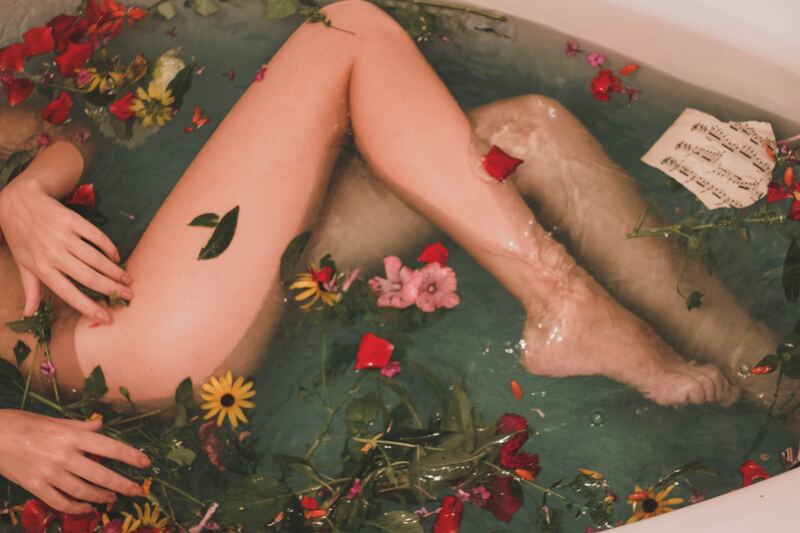 Celebrities and influencers reiterate “self-love is a process that takes time,” which we all get, but what we really need to know is the process. What does the linear path generating self-love look like? I’m not a doctor and can’t swear by my method, but I do have one. It’s a three part solution that could provide a little TLSC, or Tinder Love and Self-Care. For me, TLSC only began when I hopped ship and went to Spain for a semester. There, in the land of pastries and sangria, I began to realize I seriously needed to love myself, because this body is my only body and it’s made of more than my physical features. I have a strong mind and soul, and a loving heart. The first step to self-care was an existential crisis. Seriously. It all hit me at once. The models in Spain had curves and short legs and dark brown hair like me. They had normal smiles and wore normal clothes. This forced me to realize that there’s no perfect person or ideal body type. After I conquered my physical body, I dove deep. Changing my mind set was actually harder than accepting my body, but it wasn’t impossible. I would wake up every morning and give myself four genuine compliments. Two about my physical body, then two about my mental body. After three weeks of doing this my mindset completely changed. The Friday of the third week I didn’t even think about a complement for myself. It rolled off my tongue like it did with my friends in the dressing room. The final step was figuring out what made my inner core genuinely happy. I vetted and dug deep and everyday asked, what puts a smile on my face? This is different for everyone, but for me it was writing. So when I was in Spain I wrote every single day. And each time I finished a piece, I’d feel an overwhelming amount of self-love. This manifested happiness within me, and that eventually became uncontainable. It leaked into all aspects of my life internal and external. I smiled more, slept better, and laughed the most I’d ever laughed in my life. It was the beginning of a life-long love story with myself. Harnessing the TLSC that’s inherently within you will make you feel confident and proud. So start treating yourself the way you treat others and give yourself some TLSC. Your body and mind will thank you.